Formal gardens, a maze, a Gothic house and a dinosaur trail. 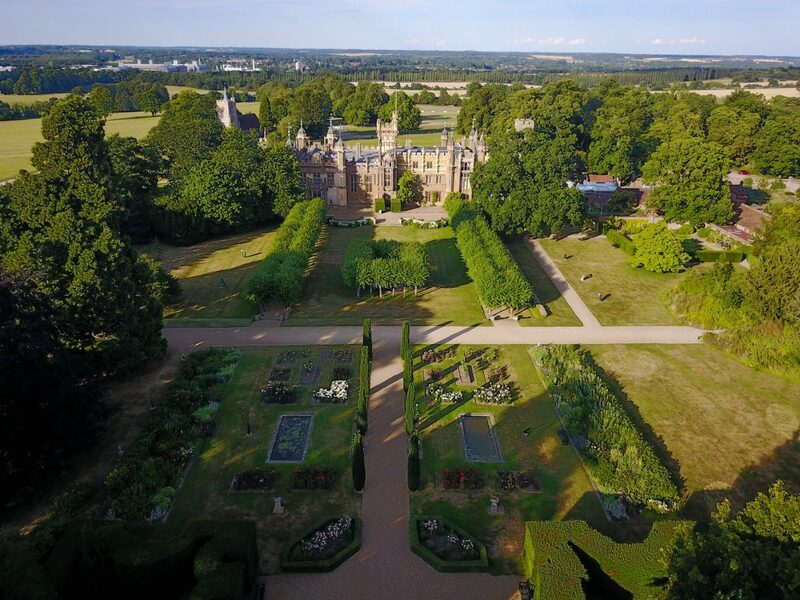 Knebworth House in Stevenage, Hertfordshire is a great day out! Muddy says: A delightful day out for all the family. 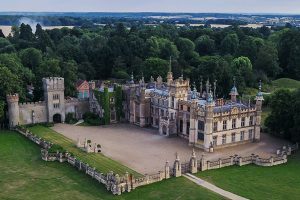 It can be filled with adventure and dinosaurs, but for lovers of old houses and formal gardens, Knebworth House also has beauty and serenity. Knebworth House is a brilliant day out for all, with or without children. Set in 28 acres of parkland, it has a deer park, formal gardens, dinosaur trail and adventure playground. 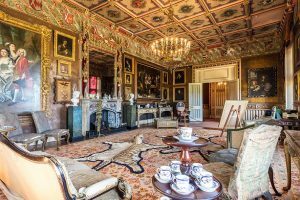 The house has been home to the Lytton family since 1490 and is quirky and packed full of stories: over the years Charles Dickens, Winston Churchill, Queen Elizabeth I, Noel Gallagher and Robbie Williams have all been guests. The formal gardens are stunning: designed by Gertrude Jekyll with input from Sir Edwin Lutyens, who incidentally married one of the Lytton daughters. 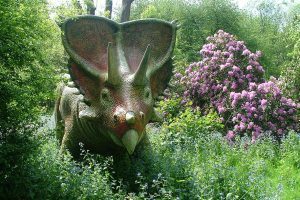 There’s a maze that’s great fun, and when you manage to get out to the other side, you’ll find yourself in the Wilderness Garden where there’s the extremely popular Dinosaur Trail. Young children and older adults can be seen enjoying the astro and drop slides in the adventure playground. There’s a café and a terrace but there’s also loads of room for picnicking. Keep an eye on the website because Knebworth House is still home to many a festival. Annual events include The Great British Food Festival and Winter Festival. The main music event in 2018 is Cool Britannia, where you can keep the spirit of the 1996 Oasis concert alive.